When it comes to overrating teams, the college football universe does it like no other sport. From pre-season hype to snagging a big week one win, fans and analysts seem to feel the need to declare teams elite when they clearly aren’t. There are a handful of teams that get this sort of hype year after year despite almost always disappointing. Today we look at those teams. Tennessee Volunteers – Can we please stop making this mess of a team a pre-season playoff contender every single year? Honestly, I believe the Vols have been expected to potentially reach the playoff every season since the first year of the playoff. To no surprise, they have yet to even come close. Tenessee’s best record since 2011 is 9-4. The last time they even won at least 10 games was in 2007. Texas Longhorns – Remember in 2016, when Texas defeated 10th ranked Notre Dame in a double OT thriller? Remember after the game-winning touchdown, Joe Tessitore said: “Texas is back, folks!”. I sure do. Man, was he wrong and everyone else that believed that nonsense. The Longhorns finished that season 5-7 including a loss to 1-9 Kansas. Last season, the Longhorns slightly improved to a bland 7-6. All in all, this has been the Texas norm for many seasons now and it doesn’t look like it will change anytime soon. Texas A&M Aggies – Believe it or not, the Aggies were ranked 4th in the playoff rankings for a short time just two years ago. A very short time. Texas A&M almost always starts out hot, but then proceeds to crash and burn the rest of the season. Even when Johnny Manziel was in College Station, they still underachieved. Now that Kevin Sumlin is gone, will Jimbo Fisher turn the program into a real contender? Who knows, but until then they’ll remain on this list. Nebraska Cornhuskers – This team just makes me laugh. Living in Nebraska, I’ve noticed most of the fans have the same expectations every season: NATIONAL CHAMPIONSHIP OR BUST. It’s quite amazing actually. To constantly see those “expectations” get crushed is always solid entertainment as well. Of course, not all the fans are like this, but a lot are. 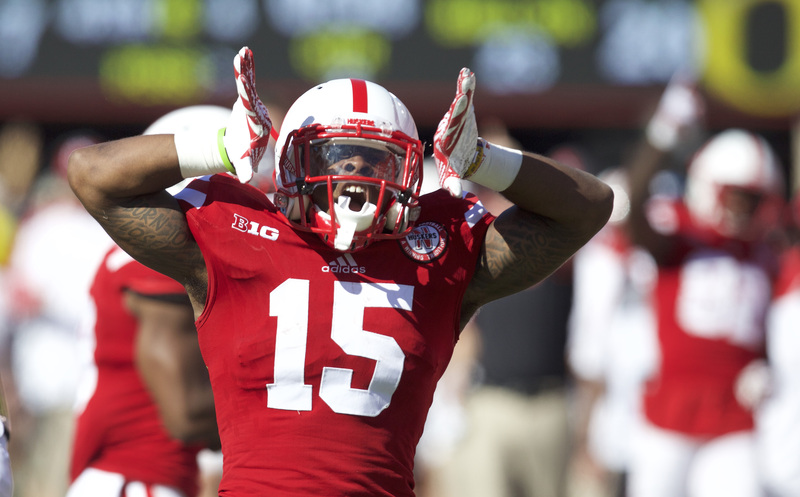 The Huskers have had some decent seasons over the past decade, but nothing more. Whenever they reach the top ten, they quickly get beat soundly and disappear for the rest of the season. I will admit I am intrigued with Scott Frost taking the helm. I wouldn’t mind seeing the Huskers actually not be disappointing for a change. Notre Dame Fighting Irish – The Irish are arguably the best team on this list, but similar to the previous teams listed, never fail to disappoint. Last season, it looked like they were finally going to reach the playoff. That was until they got manhandled by Miami and then again by Stanford just two weeks later. Notre Dame simply fails to show up when the spotlight is on them. Miami Hurricanes – South Beach was rocking last season. Well, until it wasn’t. The Hurricanes had the college football universe in their grasp for 10 straight weeks only to lose their final two regular-season games and the Orange Bowl. So much for being “back”, Miami? Besides last year, they’ve been pretty average for a while now despite consistently getting some of the nations best recruits.